"This year's theme, "African Americans and the Civil War," invites us to reflect on 150 years since the start of the Civil War and on the patriots of a young country who fought for the promises of justice and equality laid out by our forbearers. In the Emancipation Proclamation, President Abraham Lincoln not only extended freedom to those still enslaved within rebellious areas, he also opened the door for African Americans to join the Union effort." President Obama also acknowledged the contributions and sacrifices of African Americans in the military, in the struggle for civil rights, and in achievements that have helped to make this nation great. He specifically calls on " public officials, educators, librarians, and all the people of the United States to observe this month with appropriate programs, ceremonies, and activities." 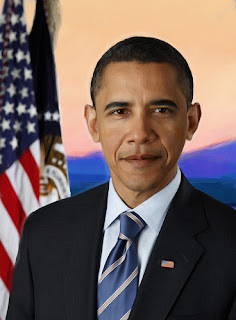 Read the President's proclamation here: Obama’s Proclamation on African American History Month, 2011. I am wondering if it would be most appropriate to stick to the official theme of the 2011 African American History Month. The proclamation was distributed by the Bureau of International Information Programs, U.S. Department of State. Since they have linked the article, Black History Month Honors Legacy of Struggle and Triumph, to the President's proclamation, perhaps they should update it because it makes no mention of this year's theme. The feature photo, is the photo of the bus that Rosa Parks rode when she would not give up her seat. A third grader told me yesterday what she learned the Civil War was about, "They were fighting over land." Of course I took the opportunity to explain a little more to her. This is only one example and the subject is very young still, but I feel it is everyone's responsibility to provide resources based on "African Americans in the Civil War." If you search the internet for "Black History Month 2011," you will only see one result on the first page from the ASALH: National Black History Month Themes (See also 2011 Black History Theme). The second page of results only has one result from the Library of Congress: African American History Month. This adds up to 2 results out of twenty. I hope that changes soon for the sake of the countless people how are looking for supplemental resources. Please share any online resources you find that are sticking to this year's theme.